Worried therapy is going to be a large and long time commitment? Intimidated by having to tell your story over and over again? Discouraged that you'll just continue to manage or mask your struggles instead of really overcome them? Allow me to help you make more progress in a short period of time and truly resolve your stuff! Ask to learn about and incorporate EMDR into your treatment, you'll thank yourself! Eye Movement Desensitization and Reprocessing (EMDR) combines images, thoughts, feelings, and body sensations with bi-lateral stimulation to get triggers "un-stuck" and actually resolved!! 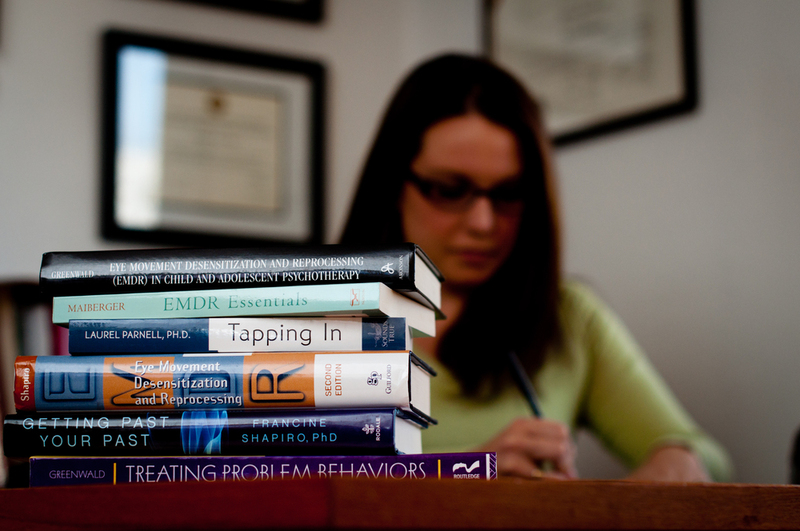 "EMDR is the best therapy I have ever done...I've seen results I've never gotten before... It addresses triggers I didn't realize bothered me... You can't avoid your feelings or mask like you can with talk therapy...The process reduces the power of the experience, makes it manageable, and have an understanding why..."
"Other therapies are a cover up... don't get rid of the root of it...(other therapies) help you cope but you still have it"
"Words can't describe how Sara has changed my life. The person I was for the last few years is almost unrecognizable to me now. I feel more like my true self than I ever have. The EMDR & Sara's counseling has transformed me into a stronger, healthier, happier human being (or woman, if u prefer) & practitioner. Our sessions have not only reinforced positive belief systems & erased shame, guilt & pain around traumatic experiences, but they have put me back on a healing path & probably saved my life."